MAKE IT YOUR WAY CONTEST! Use this month’s magazine as a stepping off point for you to create something your way. Use one of our Designers projects to help you create something similar and yet has your own style. I just re read and it says THIS month's magazine! I was inspired by an April Issue. But since I do have more than 4 Cricut cuts and 3 Imaginisce products used, I qualify for the Imaginisce Contest instead. 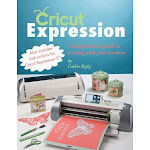 CONTEST RULES: Use at least 4 Cricut Cuts from any cartridge in your design and at least 3 Imaginisce products like their paper, I-top, I-Rock, Stickers, ribbon or any other product they produce in your design. 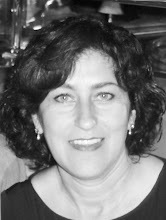 Thanks for visiting and leaving a comment! -- For the Paper Crafting World post please scroll down!